The digital product development process is, undoubtedly, a costly and complex one. Analyzing the market, deciding on the type of app you will build, estimating the budget and, finally, the execution – they all are long steps that can sometimes discourage you. However, they all are equally important. Neglecting some can prejudice the others and can eventually cause delays in the release. Let’s see why each of them is important. Every durable startup idea (web or mobile product) should be based on a thorough analysis. Who is it for? What budget will be allocated? How will the product be profitable? Will it be part of a future, more complex project? All of these questions (and their answers) are essential to establishing how the project will be tackled. Who will your customers be? How will they use your product? When will they use it? After having initially installed or accessed the app, what will trigger their comeback? This is another batch of questions that need to be taken into account before getting down to work. Make sure your initial analysis includes actual demographics, behavior patterns, motivations and goals your buyer persona is characterized by. It is the end user/buyer that you should have in mind during each stage of the process. Once their characteristics are pinned down, try to think of your customer’s lifecycle: after they are reached, they need to be acquired, converted, retained and their loyalty nurtured. Another important aspect during the analysis stage involves assessing the potential revenue. How would the product manage to make money? After all, having an app just for the sake of it can be cool, but defeats the purpose of owning a business. This is also the part in which you decide for mobile first, mobile only or mobile after. If you plan on allocating a great deal of your time and your money for promoting a product that’s exclusively mobile, you may stand a chance. If you plan to leave it all to…fate, you should know that the app stores do almost nothing for your app to stand out in the crowd. The wisest thing to do would be to go web first - mobile after. Once you’ve collected a consistent list of email subscribers, website visitors and potential clients who clearly state that your product is worth downloading and reusing, it might just work out. After having thoroughly analyzed the market and the customer persona, the next step would be to document and wireframe the app, to understand future functionalities. Although it may look like time is not on your side, actually drawing detailed sketches of the future product helps enormously. “Who has time to doodle when the deadline is so close? !”, you may be asking yourself. Keep in mind that, without this necessary stage, you may be overlooking essential aspects that may, in the end, make the difference between your product and that of the competition. Once the sketching part is over, wireframing will help refine the ideas and arrange all components of the design the proper way. Never neglect sketching in favor of wireframing! They are both equally important and the latter comes as the natural continuation of the former. The whole sketching and wireframing process are the work of the designer, but assistance from the whole team is required for optimal results. It basically includes refining all the information baggage accumulated so far. The focus of this stage is always the user. How will they react to each stage of the process of the app? Is the design intuitive? Do they know how to find their way around it? All of these are questions that the user interface design part should take into account. This is when your actual product starts to take shape. Now it’s time to set everything in place. Before the execution continues, it is mandatory that all resources needed are estimated: front-end and back-end development time, the number of programmers for each stage, and the total cost. 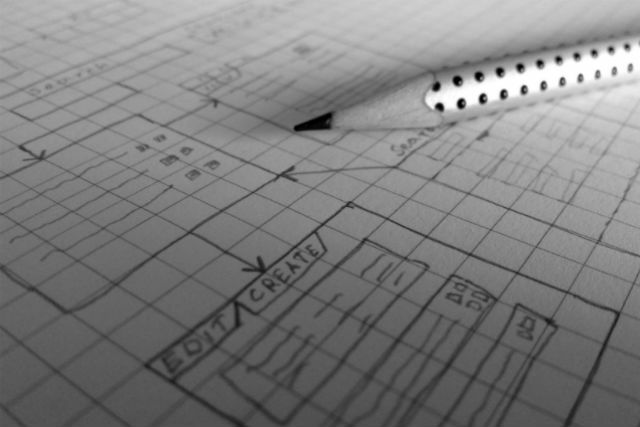 Once the User Interface Design is finished, it can be transposed into a clickable prototype. 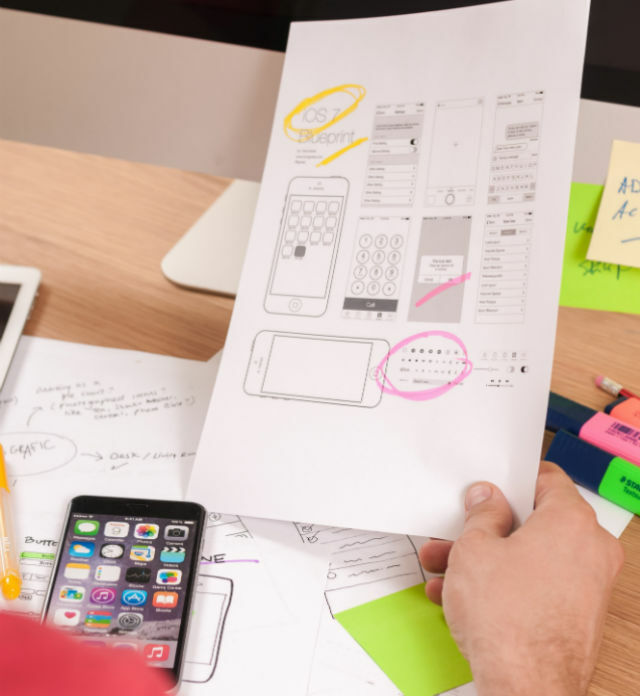 Sketches, wireframes, and user interface design are corroborated to generate a clickable sample of what is closest to the final version of the product. “A prototype model is built to test a concept or act as an early platform to validate that a design meets the target user’s requirements.” Marc Serughetti, director of product marketing for virtual prototyping at Synopsys, quote from eetimes. Coding in static mode: this helps stakeholders understand how users will interact with the product. At this stage, testing plays an important part. Friends, family, coworkers – they should all be asked to maneuver the interactive prototype of the user interface, so that usability concerns are eliminated. Depending on the marketing plan (and on the budget), the type of product will span on different periods of time; and it will require specific programming skills, both of which will be clearly established during the planning phase. Web applications are a lot easier to distribute, but they require better development skills (plus higher budgets). Getting a unanimous look and feel for all platforms intended, as well as a proper level of flexibility for them can be quite a challenge. Quality assurance needs to be in place from the very beginning. However, it is of crucial importance during development. A proper QA process is undergone with the help of specific tools, functioning during precise stages. Some of these tools and processes are described here. After the QA process is over and the product is in final format, the app can be submitted to the store (in the case of a mobile app) or the website will go live. Depending on the complexity of the product, maintenance can include planning for continuous updates and testing upgrades. 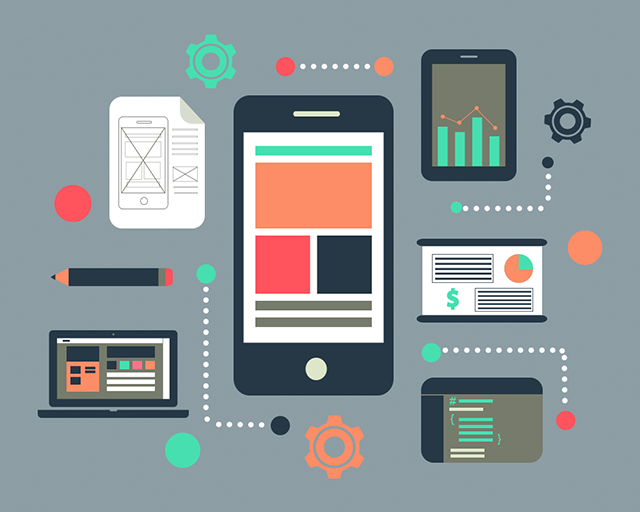 It is advisable that not all features of the product are released simultaneously; the core of the web or mobile app should come out at launch and the rest of the features should be released progressively, in accordance with the principles of agile development methodologies. Your project budget should take into account the continuous revisitation of some of the product’s functionalities, for a determined period after launch. Building a digital product is long and costly. Apart from the money invested, it requires a long-term commitment. The initial research and analysis stage, that can sometimes take a few months, is almost entirely up to you. Deciding on the type of product you want to build, analyzing its end-users and its Unique Value Proposition is a mandatory part of the journey. Keep in mind that the project is not over once the app is live. On the contrary, hard work is just beginning. You’re in it for the long term – so don’t neglect any of the steps in the process.